Simon Dyson is keen to hold on to the Irish Open trophy. Picture © GettyImagesSimon Dyson will bid to become the first player for 15 years to successfully defend the Irish Open when the €2million event takes place at Royal Portrush Golf Club from June 28-July 1, writes the European Tour. 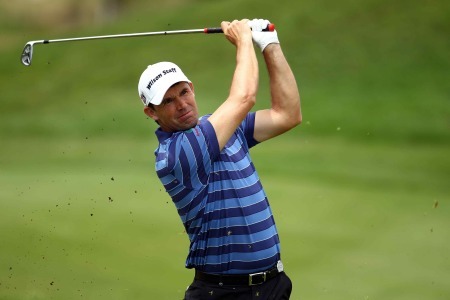 Successive rounds of 67 over the weekend at last year’s Irish Open earned Dyson his sixth European Tour title, and the Englishman has now set his sights on following in the illustrious footsteps of Colin Montgomerie, who took the coveted title in 1996 and 1997. Dyson dropped just three shots over the four rounds at Killarney Golf & Fishing Club in a display he labelled his “best of the year”, and the 34 year old is now hopeful those cherished memories will act as the catalyst for a successful title defence when the Irish Open returns to Royal Portrush for the first time since 1947. He said: “My main memories from last year were coming down the stretch on the final day, starting with my nine iron tee shot into the par three tenth. That got everything rolling really. My four iron into the 11th to 12 feet was probably one of the best shots I hit all season, and the whole back nine was probably the best golf I played all year. “I hit lots of fairways and greens, gave myself loads of chances and never got into any real trouble. To play that well and not win the tournament would’ve been heart breaking, so the sense of relief when I got over the line was overwhelming. Having only played Royal Portrush during an amateur career which included a victorious appearance at the 1999 Walker Cup, Dyson’s first-hand knowledge of the stunning 6,843 yards, par 72 layout in County Antrim falls some way short of the host nation’s quartet of Major Champions, Darren Clarke, Padraig Harrington, Graeme McDowell and Rory McIlroy. 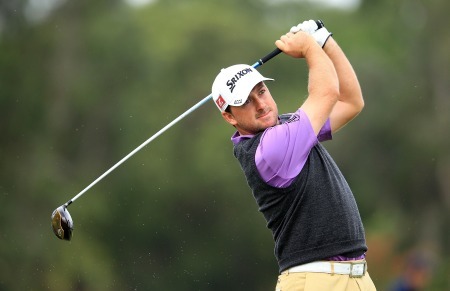 But having received glowing reports from the reigning Open Champion Clarke and the 2010 US Open Champion McDowell, Dyson is relishing the prospect of making his first professional outing at Royal Portrush, where he will attempt to join some of the game’s greats – including Seve Ballesteros, Sir Nick Faldo and Ian Woosnam – in the exclusive club of players who have retained the Irish Open title. Advance day tickets for the Irish Open are available for £30, a saving of £5 on the gate price, with four day season tickets priced at £70 – a saving of £10. Advance concession day and season tickets are priced at £20 and £50 respectively.